Notes: Quality Start is awarded to a starting pitcher who completes at least six innings and permits no more than three earned runs. For NBA Full Roster contests, only the top 8 scores of your 9 player roster will count towards your total points for the contest. In a case where multiple players have the same low score, only one of those scores will be dropped. Note: No points are awarded for goals or saves during shootouts. Holes played during a playoff are not counted in scoring. Finishing position bonus will reflect the final outcome of the tournament. All golfers are eligible to receive one overall tournament finishing bonus. This bonus is based on the golfers final position at the end of the tournament and is given to the golfer once. All scoring statistics are supplied by FanDuel’s stats provider, Opta, in accordance with its guidelines. FanDuel will not amend any scoring statistics provided by Opta. However, Opta may change statistics which result in changes to FanDuel scoring, so long as any statistic amendments are made before FanDuel contest settlement. The scorer of a goal. A goal will also score additional points for a Shot on Goal. Players do not accrue any points during a penalty shootout. Any goal attempt that goes into the net. Any goal attempt that would have gone into the net but for being stopped by a goalkeeper's save. Any goal attempt that would have gone into the net but for being stopped by a defender who is the last man. The final pass or attempted shot directly leading to the recipient of the ball scoring a goal. Assists are not awarded for shots off the goal frame or for goalkeeper saves if the goalscorer scores the rebound. Assists are also not awarded for heavily deflected passes, or players being fouled for penalties/free-kicks. In the event of an own goal, no assist is awarded. Assists can also score additional points for the chance created. The final pass or attempted shot leading to the recipient of the ball having an attempt at goal, including assists. This is a defensive action where a player blocks a shot from an opposing player. This is a defensive action where a player kicks the ball away from his own goal with no intended recipient of the ball. A tackle is defined as where a player connects with the ball in ground challenge where he successfully takes the ball away from the man in possession. An interception is defined as where a player intentionally intercepts a pass by moving into the line of the intended ball. A player or team who does not concede a goal for the full match. Goalkeepers/Defenders will be awarded a Clean Sheet if they play the entire match and do not allow a goal. A goal allowed in extra time will nullify a clean sheet. Clean sheet points are awarded at the end of the game. A goal conceded by a goalkeeper while on the field of play. A goalkeeper preventing the ball from entering the goal with any part of his body. A goalkeeper whose team wins the match either at Full-time (90 minutes) or wins the game in Extra-time (Penalty shootout wins are not included). The goalkeeper must play at least 90 minutes to receive this. Goalkeepers will receive points for goalkeeper specific events only. Players other than the goalkeeper will not receive points for goalkeeper unique events should they play in goal for any reason during a match, and midfields/forwards will not receive defender clean sheet bonuses if they play in defense. All scoring statistics are supplied by FanDuel’s stats provider, STATS in accordance with its guidelines. FanDuel will not amend any scoring statistics provided by STATS. However, STATS may change statistics which result in changes to FanDuel scoring, so long as any statistic amendments are made before FanDuel contest settlement. For each lap completed, a driver will be credited with 0.1 fantasy points. For each lap led, a driver will be credited with 0.1 fantasy points. A driver will be credited with +/- 0.5 fantasy points for each place differential based on qualifying position and finishing position at the conclusion of the race. For example, a driver who qualifies to start in 30th position and finishes in 20th place will be credited with 5.0 fantasy points (+10 place differential * 0.5 = 5.0 fantasy points). A driver who qualifies to start in 5th position and finishes in 10th place will be credited with -2.5 fantasy points (-5 place differential * 0.5 = -2.5 fantasy points). Each driver will be credited with fantasy points at the end of the race based on individual finishing position. The first place driver will receive 43 fantasy points, second place will receive 40 fantasy points, third place will receive 38 fantasy points, fourth place will receive 37 fantasy points, fifth place will receive 36, etc. Users physically located in the following states are not eligible to enter college football contests: Alabama, Arizona, Arkansas, Colorado, Delaware, Hawaii, Idaho, Indiana, Iowa, Louisiana, Maine, Maryland, Massachusetts, Mississippi, Missouri, Montana, Nevada, New Hampshire, New York, Ohio, Pennsylvania, Tennessee, Vermont and Washington. Users physically located in the following states are not eligible to enter college basketball contests: Alabama, Arizona, Arkansas, Colorado, Delaware, Hawaii, Idaho, Indiana, Iowa, Louisiana, Maine, Maryland, Massachusetts, Mississippi, Missouri, Montana, Nevada, New Hampshire, New York, Ohio, Pennsylvania, Tennessee, Vermont and Washington. Each player on FanDuel is allowed one account and "multi-accounting" is expressly prohibited. If FanDuel determines that you have opened, maintained, used or controlled more than one account, any or all of your accounts may be terminated or suspended and any prizes you've won may be revoked or withheld. For more information, click here. There are a variety of behaviors that are detrimental to FanDuel and other players on the Service. Engaging in those behaviors may result in suspension of some or all functions associated with your account. Suspended players are expected to respect the disciplinary actions imposed on their accounts and all communication regarding restoration of your account should take place via the support@fanduel.com email account. FanDuel may require users to change their user names in cases where the name is offensive or promotes a commercial venture. The requirement to change will be determined at FanDuel’s sole discretion, and if requests are ignored, FanDuel may unilaterally change a player’s user name. 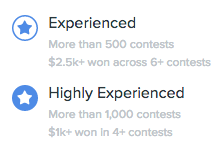 All open contests that are completed on FanDuel have a predetermined prize pool and number of entrants. Contests labeled as "Guaranteed" will always run and pay out regardless if the contest starts as unfilled. Some structured contests, however, require a specified number of participants. If that number of participants is not reached before the start of the contest, the contest will not take place and your entrance fee will be refunded. For example, a head-to-head challenge cannot take place without two willing competitors and a 10-person league will not be conducted with only 9 interested participants. For Friends Mode Pickup leagues and private contests, the contest will still run with the predetermined prize pool if the contest is sized for at least 5 people, the maximum entry fee is $25, and at least 80% of the contest size has filled before the contest starts. If the contest does not meet all of these criteria, then it will run as a free contest and all entry fees will be refunded. FanDuel reserves the right to cancel contests in its sole discretion. We offer contests with and without late swap. For contests that do not offer late swap, all edits will be final at the scheduled start time for the first game of the slate. That means no more entries and no more lineup changes. Let’s say you’re looking to join a Sunday NFL contest and the first game in which players are eligible for selection in that contest kicks off at 1pm EST that day. You’ll need to enter and make your last lineup change by 12:59pm - not a minute later. If a contest offers late swap, players in your lineup can be edited until their respective scheduled game start time. Something to keep in mind is that all normal editing rules apply - you can select up to four players from one team, must select players from at least three different teams, and cannot exceed the salary cap. Additionally, you cannot swap for a player after their game has started. For Golf, contests lock before the first tee-time of the tournament’s opening round. However, FanDuel reserves the right to update the lock time in the event the tournament begins before the scheduled lock time. In the event that the first tee-time of the tournament’s opening round occurs before contest lock, any new entries made or entries with edits made after the first tee-time of the opening round will be cancelled and refunded. For NASCAR, contests lock before the race's scheduled start time. However, FanDuel reserves the right to update the lock time in the event the race begins before or after (in the case of postponed races) the scheduled lock time. In the event that the race officially begins before contest lock, any new entries made or entries with edits made after the race began will be cancelled and refunded. For single game 2nd half slates, only the stats accumulated in the 2nd half of the game and overtime (if necessary) will count towards point totals. The start of the contest is determined by the scheduled start time of that contest, as stated in the contest details. FanDuel reserves the right to push back the start time of a single round half slate contest if the 1st half of the underlying game is not over before the scheduled start time of the contest. In such a scenario, FanDuel will push back the start time of the contest to 10 minutes after the end of the 1st half. For Golf, FanDuel may offer $150+ entry fee contests with higher limits on the maximum number of entries a single user may submit. Users may cancel entries by clicking on the ‘cancel entry’ link located at the bottom of your entry on the roster confirmation page or by clicking the red x next to your entry at your Upcoming page. You may cancel your entry for any contest as long as it has more than 15 minutes before game start, except for matched H2H entries and filled 3-100 player contests with an entry fee of $100+, which can never be cancelled. Within 15 minutes of game start, you will not be able to cancel an entry if the contest is already filled (tournaments, 3-100 player contests under $100, 50/50s, multipliers). FanDuel will not accommodate cancellation requests for entries in filled contests within 15 minutes of game start. FanDuel has no obligation to honor cancellation requests that are not received, or which are received after these deadlines, due to technical difficulties or other reasons. Also, FanDuel will not accommodate requests to cancel matched H2H entries or entries to filled 3-100 player contests with an entry fee of $100+. Rules for how postponed games are treated in FanDuel contests vary depending on the sport and contest type. For NFL contests, you will receive points for any postponed games that are played no later than Wednesday of that week. For one day MLB, Basketball, NHL and Soccer contests, if the postponed game is played on the same day then you will receive points for your players in those games as normal. If a game is postponed to a later date or called off for any reason, any players you have selected for that game will receive zero points. For NASCAR contests, if a race is postponed and is not rescheduled to run before the Wednesday following the start of the race, all entry fees will be refunded. For any Basketball, MLB, NHL and Soccer contests that are scheduled to include games from multiple days (such as some playoff contests), you will receive points for any games that are played no later than the day after the last game scheduled as part of the contest. For slates involving multiple games, if game cancellations and/or postponements mean there is only one game left in a contest, then the contest will be canceled and all entry fees will be refunded. NOTE: A game will be considered to be 'played' on a given day if it begins on that day and is completed no later than 6am Eastern on the following day. For Golf contests, postponed rounds will only be counted if they are completed before the Wednesday following the start of a tournament. For College Football contests, you will receive points for any postponed games that are played within three days of the originally scheduled game. For example, if a College Football game is scheduled to start on Saturday, the game must be played by the following Tuesday. Rules for how suspended games are treated vary depending on the sport and game type. A game is considered suspended if it is unfinished, but to be completed in the future. At a minimum, the statistics compiled prior to the end of the contest period will count towards contests. For a suspended NFL game, you will receive points for the remainder of the game if it is played no later than Wednesday of that week. For one day MLB contests, if the game is suspended until a future date, points accumulated in the remainder of the game will not count towards contests. For one day Basketball, NHL and Soccer contests, you will receive points for any suspended games that are played no later than the next day. For any Basketball, MLB, NHL and Soccer contests that are scheduled to include games from multiple days (such as some playoff contests), you will receive the remaining points for the any games that are completed no later than the day after the last game scheduled as part of the contest. For Golf contests, if a tournament is suspended after rounds have been played, and it will not complete within a week from the event start date, the game will be marked complete and the future scores will not count towards settlement. If a Golfer withdraws from play mid-competition he will only receive points for his completed holes. For example, if a Golfer withdraws on the 16th hole of the first round, he will receive points earned through the first 15 holes. Incomplete rounds are not eligible for the 'Bogey Free Round' bonus. For NASCAR contests, if a race is suspended after laps have been completed, and it will not finish before the Wednesday following the start of the race, the race will be marked complete and the future scores will not count towards settlement. If a driver withdraws from the race he will only receive points for his completed laps. For example, if a driver withdraws before completing the 8th lap, he will receive points earned through the first 7 laps. For a suspended College Football game, you will receive points for the remainder of the game if it is played within three days of the originally scheduled game. For example, if a College Football game is scheduled to start on Saturday, the game must be played by the following Tuesday. For single game half slate contests, if the game is suspended prior to the start of the 2nd half or quarter included in the contest, all entries will be voided and entry fees refunded. If an NFL game is suspended during the 2nd half or quarter being played in the contest, you will receive points for the remainder of the game if it is played by the end of that day. If a Basketball, NHL and Soccer game is suspended during the 2nd half or quarter being played in the contest, you will receive points for any suspended games that are played no later than the next day. Players being traded may impact contests that have already been created with the players on their old teams. Player team listings on FanDuel are updated once per day (overnight). Note that because contests are created as much as five or six days in advance, traded players may not be available in contests which include a game involving their new team, but not their old team. Also note that in some instances a player you selected may no longer be available in a contest which includes their old team, but not their new team. In that case, you'll need to select a replacement or be credited with zero points for the player. In rare cases, FanDuel reserves the right to update the pool of players for a contest slate before lock time at its own discretion. In the event that this takes place, FanDuel will contact users currently entered into that contest slate to alert them of this change. When drafting a lineup, you may see player status indicators informing you of a player’s injury status, whether he’s active in the lineup or other information relating to a player’s status in the lineup (e.g., batting order for baseball, projected line for hockey, etc.). As you build your lineup, you may consult the Indicator Legend at the bottom of the draft screen for more information on Player Status Indicators. These indicators are based on information provided to us by a 3rd party, and while we do our best to ensure accuracy, FanDuel is not responsible for the content. Only one game of a doubleheader will count for FanDuel scoring. Players will only score points for the game which starts at the time listed in the contest details. This will typically (but not always) be the game at the originally scheduled time. Lineup restrictions governing the mix of players allowed in your lineup vary based on contest type. For most contests, you must pick players from at least three different teams and you may not pick more than four players from the same team. However, for MLB contests, you may select up to five players from the same team, provided one player is a pitcher. For single game contests, you must pick players from at least two different teams. Use of unauthorized scripts is prohibited on FanDuel. Authorized scripts will be made available through FanDuel and will be accessible to all users prior to game entry. Currently, FanDuel allows all users to enter multiple lineups into contests via CSV files using the "Upload Lineups" tool available on the draft screen. FanDuel also allows users to edit multiple lineups via CSV files using the "CSV Edit" tool available on the Upcoming page and the Live page (for late swap). You can withdraw your money at any time, subject to anti-fraud checks on playing patterns and deposits prior to processing. For all withdrawals we require a valid mailing address, birthday and social security number in order to file the appropriate tax forms at year end. To withdraw, simply click the Withdraw link on your account dropdown or in your My Account section. Enter the amount you wish to withdraw, along with payee information. PayPal requests will be processed within 48 hours, while check withdrawals take 7-10 days to process. We conduct anti-fraud checks on playing patterns and deposits prior to processing a withdrawal. In cases where you have received a bonus or other benefits as a result of your deposit and have not yet played through the deposit (entering contests whose total entry fees equal the value of the deposit), FanDuel reserves the right to refuse the withdrawal and/or close your account. You may deposit into your account using Visa, Mastercard, Discover, or PayPal (American Express can be used via PayPal). If you're having any problems depositing money then get in touch and we'll help you out. There may be limits on the amount you may deposit in certain circumstances. In accordance with state requirements, FanDuel restricts deposits in any calendar month for residents of certain states unless the user has requested and received approval for an increase. For Massachusetts residents the deposit limit level is $1,000 per calendar month. For Tennessee residents and people located in Tennessee, the deposit limit level is $2,500 per calendar month. We try to settle contests and run payments as quickly as possible, but must ensure we do so accurately. Most contests are settled shortly after the last game finishes. However, to settle we have to wait until all the player statistics have been reported by our third party stats provider. This lets us ensure that the final box scores are complete. Please note there can sometimes be last minute changes. If there is difficulty obtaining official results or issues with scoring, the contest may be settled the following day. During every game, we receive live scoring from one of our stats providers. After each game has ended, we receive the final box score, and settle all the contests. On rare occasions, the final box scores are revised after they have been released. When that happens, the player scores on FanDuel will not be updated and the settlements will not be revised. Note that this is not the same situation as a case where a correction needs to be made after settlement due to a problem with the data feed or the settlement process. In these cases the settlement process (including payment) may be reversed and games resettled correctly. While we try to ensure that FanDuel is functioning smoothly at all times, like any online service we may periodically experience periods of outage or slow performance. These can sometimes result in an inability to access the Service, problems editing lineups, or problems entering new contests. If you're unable to access the Service, please report the problems by emailing us at support@fanduel.com. If there are sustained periods where players are unable to access Service functionality, or otherwise prevented from editing lineups, or in certain other situations, we may provide instructions on how to cancel your entries over email prior to game time. FanDuel also reserves that right to cancel contests at our discretion, without any restrictions. This would typically be done only in cases where we believe that due to problems on the Service or events impacting the sporting events, there would be a widespread impact on the integrity of contests. Users located in AR, CO, MO, or PA are not eligible to participate in paid single game half slate contests. For more information on how FanDuel works, please visit the Frequently Asked Questions page on our Support page.